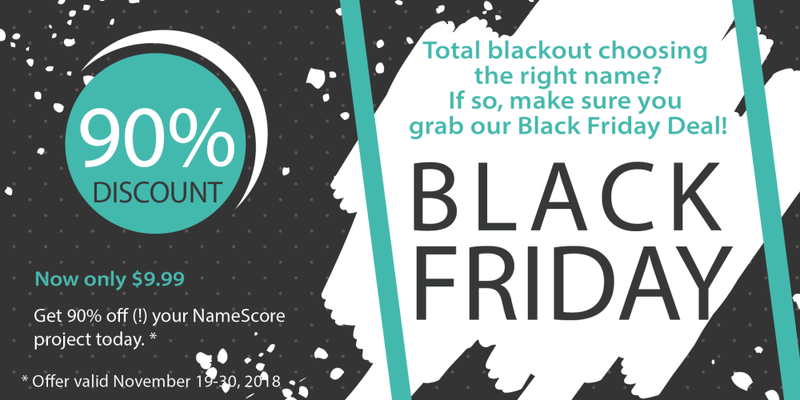 Red hot deals to create cool brand names on Black Friday! NameRobot, Namefruits and NameScore all await with red-hot discounts! 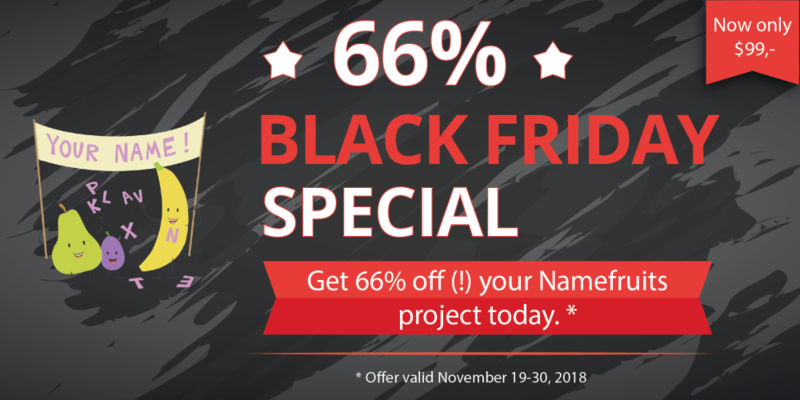 Our contribution to Black Friday is for all business founders, entrepreneurs and project teams who are hunting for the right name. Strike while the iron's hot: find your name and launch your project with a stunning success! Are you planning a blog, app, or other project? Perhaps you have no idea what to call it! If so, grab this Namefruits deal right away. At Namefruits you can kick back, relax and let the artificial intelligence do its work until it burns out - sorry, until it's found the perfect name for you. Is your business, secret project or big plan for the future in the starting blocks, waiting for you to sift through the name ideas you've collected? Which name is the best now? Is your ideal name available, does it work from a marketing perspective, and does it sound good too? Find out now if your name(s) will make the right impression! The NameScore deal is available here.